Alejandro received his Bachelor’s degree in Electrical Engineering and Minors’ in Computer Engineering from California State University, Chico in 2016. In January 2017, he joined the UC Davis LEPS research group where he is working on non-invasive methods to monitor the volume of liquid inside the human bladder to give real-time feedback to people suffering with bladder incontinence. 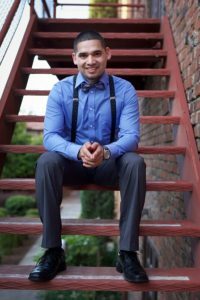 Alejandro has been working for FAFCO Inc., since 2013 and continues to work as a software developer while attending graduate school. 2236, Electrical and Computer Engineering Department, Kemper Hall, University of California, 1 Shields Avenue, Davis California 95616.